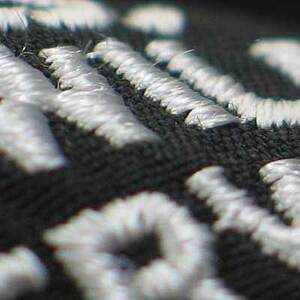 When adding embroidery elements to your garment, you can expect to see a professional and sleek outcome that reflects your personal or business brand. Embroidered garments give the opportunity to showcase your organization and members with style. Trends come and go, but mastery of the fundamentals is always in demand. Our quality standards demand the cleanest, tightest fine lettering detail as small as .25” tall. Gradient effects aren’t limited to screen printing. 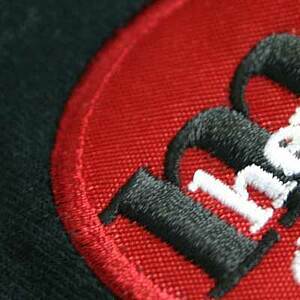 Our skilled digitizers reproduce complex gradient designs and logos daily for us to embroider caps, bags, polos, fleece, towels - you name it! Repeated shapes in embroidery create an exquisite texture with softness and flexibility. This effect works best with one or two color logo or designs. 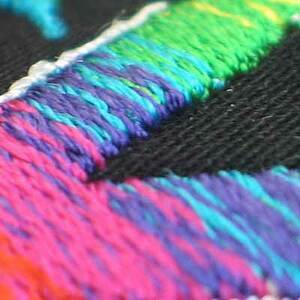 Have our graphics designers develop a textured embroidery design for you! Check into puff embroidery for text with true impact in an endless sea of BOLD fonts. 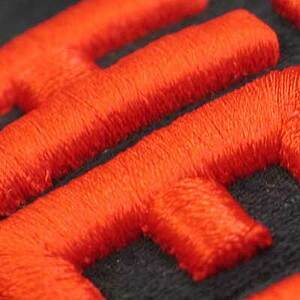 Puff embroidery does not hold thin line or detail and is best for block style lettering and/or simple shapes. 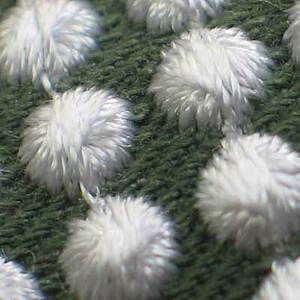 Most recognized as collegiate sweatshirt decoration, this cut material and embroidery combination can be applied to caps, bags and countless other fabrics.